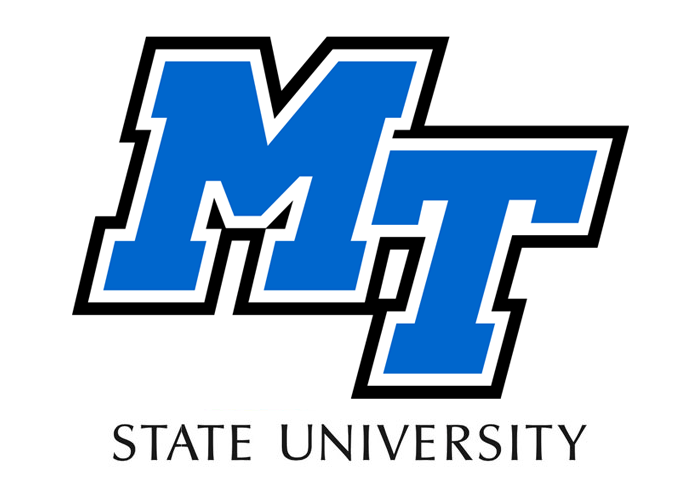 Middle Tennessee State University (MTSU) was founded in 1911 and has become one of the top university in the state of Tennessee. Since its founding, it has strived to foster a student-centered environment that is conducive to lifelong learning, personal development, and success. Located in Murfreesboro, MTSU offers a safe and friendly campus that is the university of choice for over 22,000 students, including approximately 1,000 international students representing more than 60 countries. The campus offers a very diverse student population and continues to expand its reach internationally. Just 30 minutes south of Nashville, MTSU allows students to access a vast network of industry professionals and cultural experiences. Over 140 programs of study are offered at the bachelor’s, master’s, and doctoral levels. The university offers one of the best Recording Industry programs in the country, along with one of the largest Aerospace programs with a fleet of more than 30 aircrafts. Other signature programs include: Business, Communication, Engineering Technology, Mechatronics and Nursing. We look forward to you joining our True Blue family.